More and more MD iMap users are accessing applications and searching for data using mobile devices. In fact, several State agencies have purchased iPads for their employees to replace their Blackberry phones. 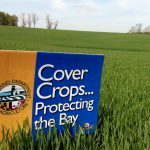 To accommodate this growing user base, CGIS generated a mobile friendly version of the Portal website and a mobile friendly version for MD iMap application, GreenPrint. Also, a search capability on the MD iMap portal has been set in place that allows users to find GIS services on MD iMap in a fast, up to date and easy to use manner. This mobile-ready application for GreenPrint allows users to turn on and off the data layers, view a dynamic legend, change basemaps between streets and aerial imagery, use an identify tool, and search by location. 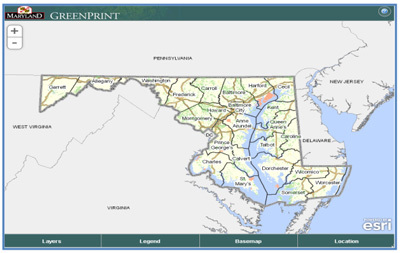 The GreenPrint application determines how the user is connecting – either with a mobile device or tablet or via a computer – and then launches the appropriate mobile site or the full mapping application. 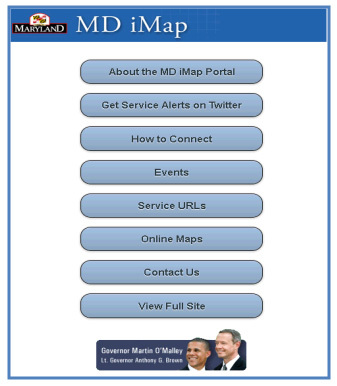 The MD iMap Portal determines how the user is connecting – either with a mobile device or tablet or via a computer – and then launches the appropriate mobile site or the full website. 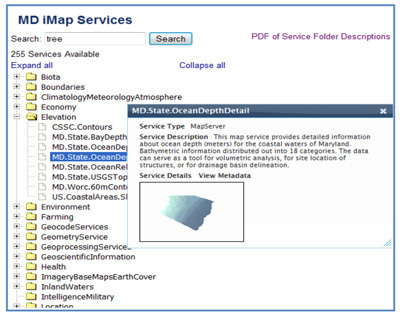 Previously, the MD iMap portal displayed a PDF of available GIS services. The PDF was often out of date and hard to maintain. The portal also displayed metadata records by map service name. This began to grow and was a somewhat tedious task to find a record. The new webpage dynamically lists the GIS services and other information provided utilizing the ArcGIS REST endpoint for each service. Users can browse for services by typing in a keyword or expanding the folders in the catalog tree. Clicking on a map service name launches a pop-up box with the service name, a service description, an image of the data, and a link to the service details as well as metadata records. PreviousIt’s all in the planning, strategic that is. 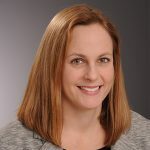 NextWhat Is the Economic Impact of Facebook, Twitter, and All Those Social Media Applications? 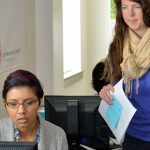 TU's Center for GIS works collaboratively with clients to identify, analyze, and better understand data to enhance information access, deliver new insights, and utilize technology to inform business decisions. We provide a full range of application development services, geospatial data development and analysis, and customized GIS training.